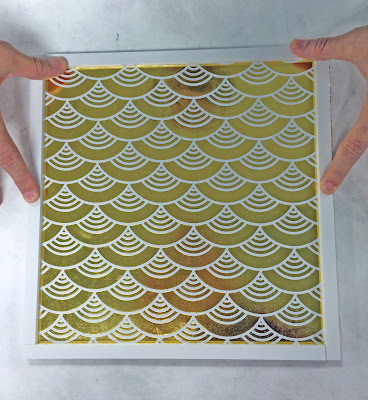 This simple, DIY tutorial explains how to frame pieces of wrapping paper, which can result in high-style artwork that can be hung for the holidays or kept on the walls all year long. 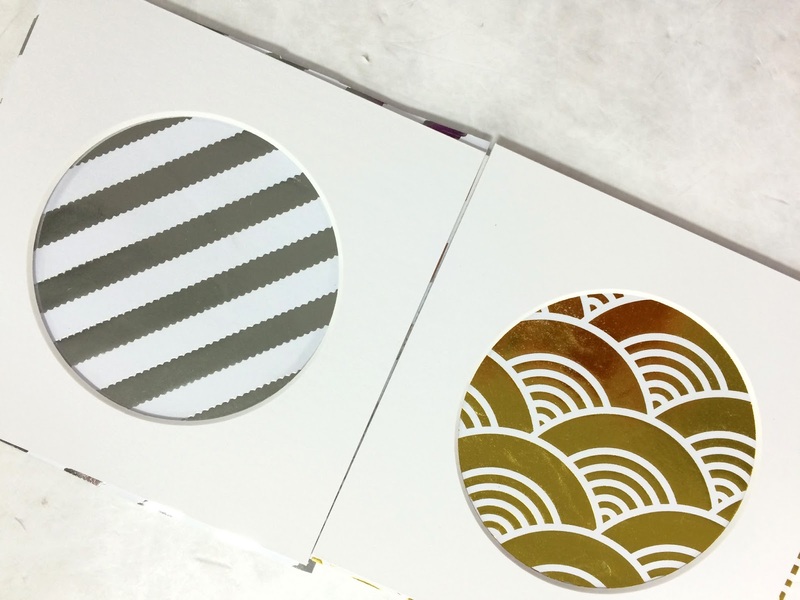 You can even switch out the papers being used depending on the season, or keep the frames to use with other artwork later on. Here are the framing elements we used in this tutorial. Note: the same look can be achieved with wood frames. 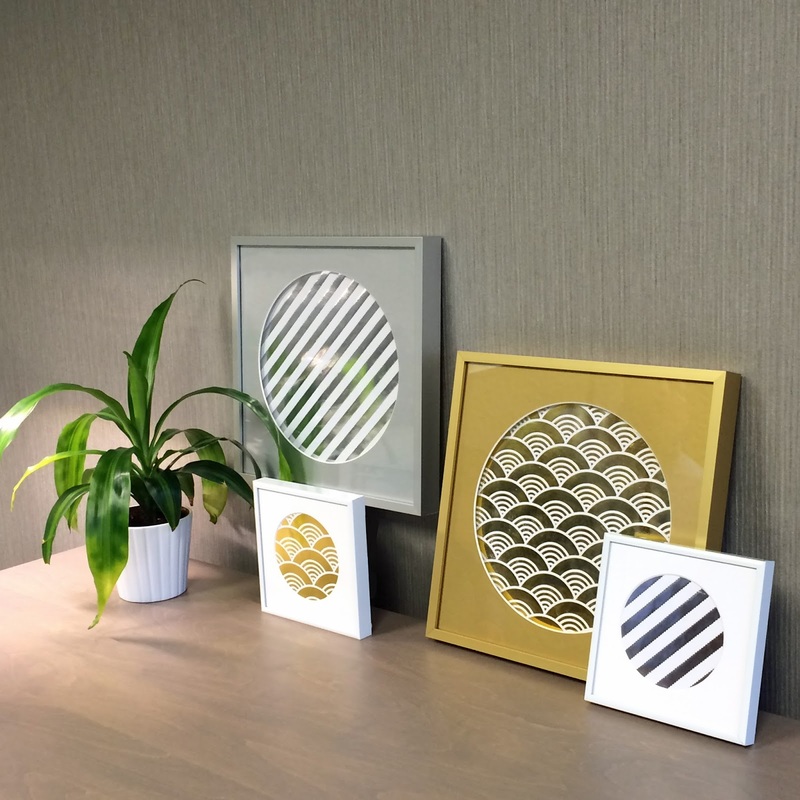 The beauty of DIY framing is that you get to pick the materials that suit your needs, style or budget. 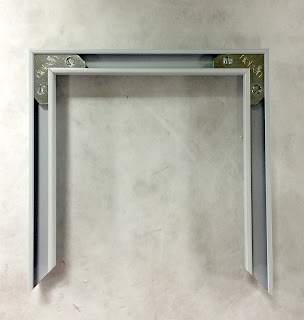 To make this project more economical, we chose to use some basic metal frames. 1. First, assemble three sides of the metal frame using a screwdriver. Do not attach the final side; the artwork needs to be able to slide into the frame’s channel. 2. 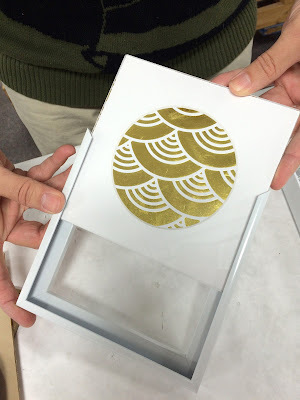 Cut the wrapping paper to fit the size of the mounting board used in the frame. 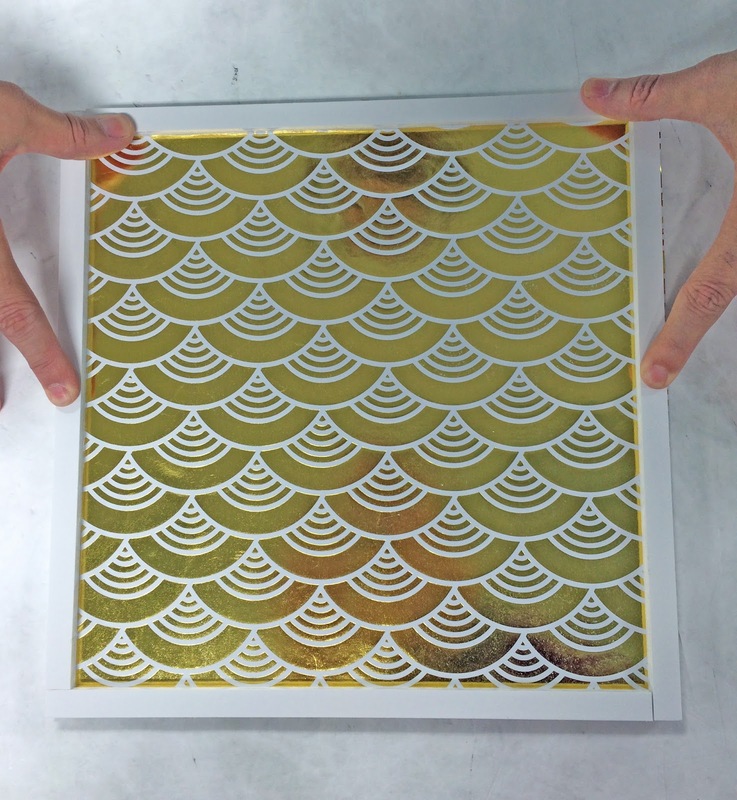 Our frame is 6” x 6” so we cut a 6” x 6” section of wrapping paper. 3. Apply ATG or double sided tape to the mounting board, along the edges. Make an X in the middle, going corner to corner. Carefully adhere the wrapping paper to the mounting board. 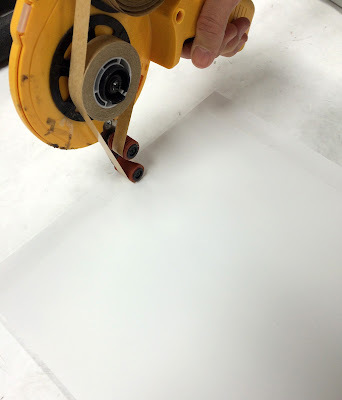 Be careful to lay the paper on the mounting board evenly and smoothly; once the paper touches the tape, it is impossible to remove. 4. Place the mat board on top of the mounting board. 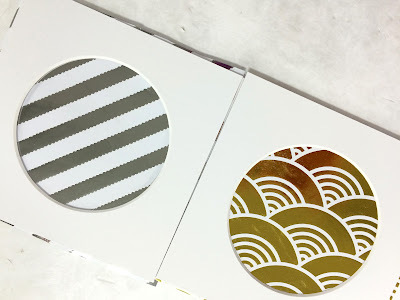 For this project, the mat board will not be attached to the mounting board so that the mat board can be reused later if you want to switch out the paper for another pattern or another piece of artwork. 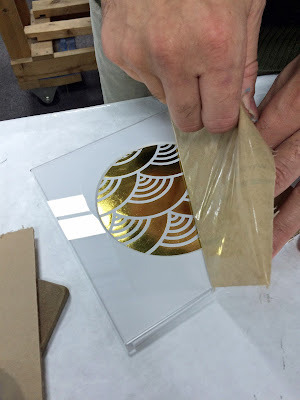 Note: if using non-glare, UV, or UV non-glare acrylic, make sure you to pay attention that the correct side is facing outwards. The labels on the protective paper guide you to let you know which side faces out. 7. 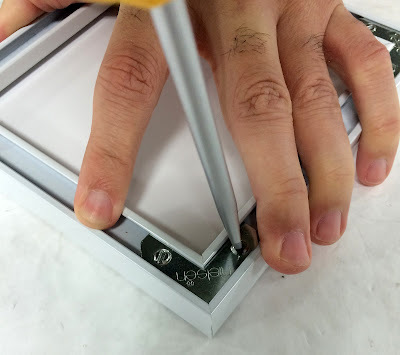 Attach the final side of the metal frame and tighten the corner brackets with a screwdriver. 8. 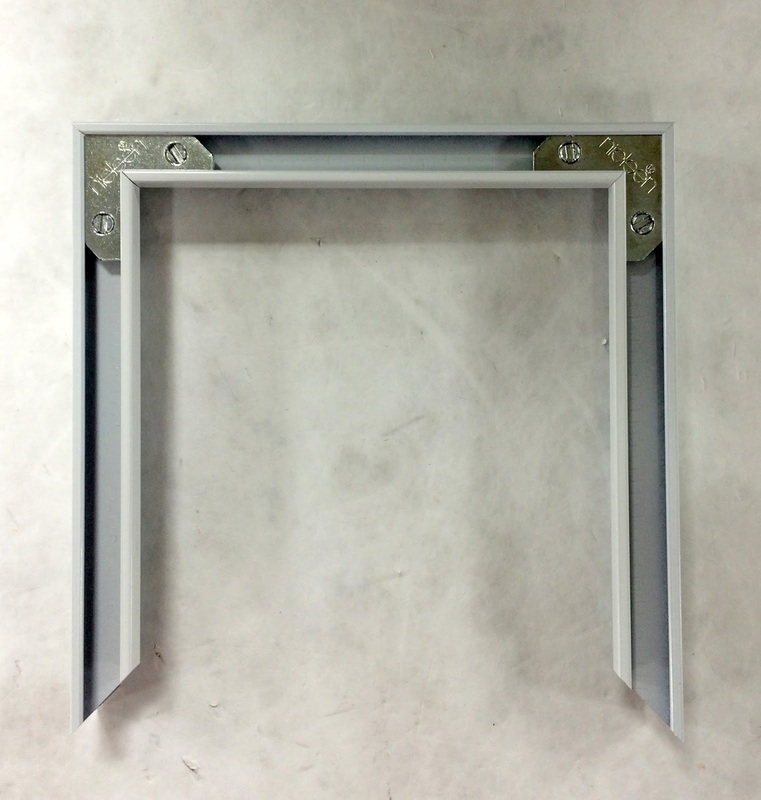 Add spring clips to the back of the frame. This keeps all the materials in the frame’s channel pushed towards the front to ensure none of the artwork shifts or falls out. 9. Add the hanging hardware and foam bumpers and you’re ready to hang! 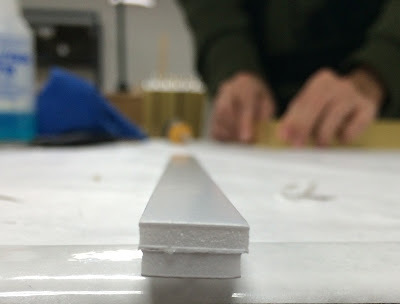 If you’d like to add another element to this project, consider making spacers to create depth. First, make sure the frame you are using allows you to add more material in the art stack. Some frames may be too shallow. 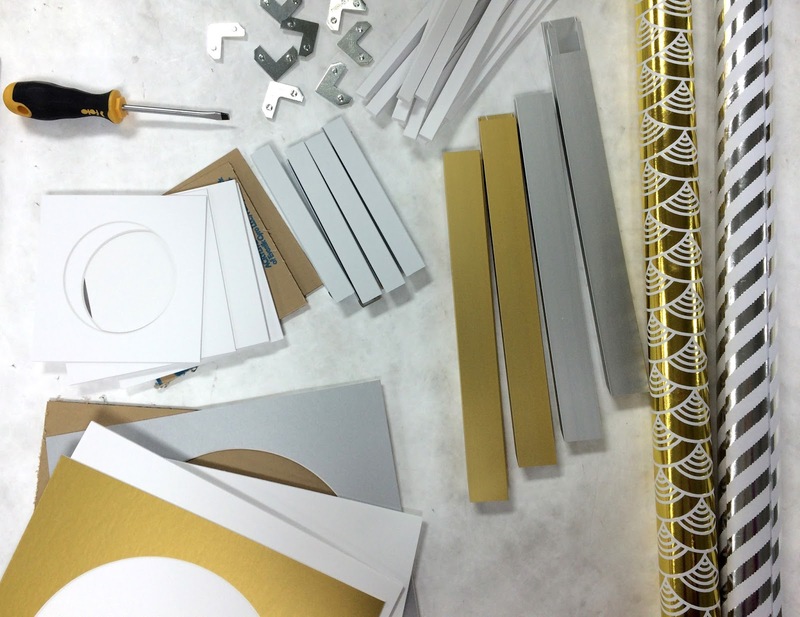 The use of spacers will raise the mat board away from the wrapping paper and give the frame more dimension. Follow steps 1-3 from Version One above. Cut strips of mounting board 1” wide. Typically, you could use 4 strips (one for each side), but we wanted to make a more dramatic depth, so we doubled the strips. Two for each side, so we will need 8 per frame. Tape pairs of strips together using double sided tape. Put tape on the backs of the mounting board strips and attach to the front of the wrapping paper. 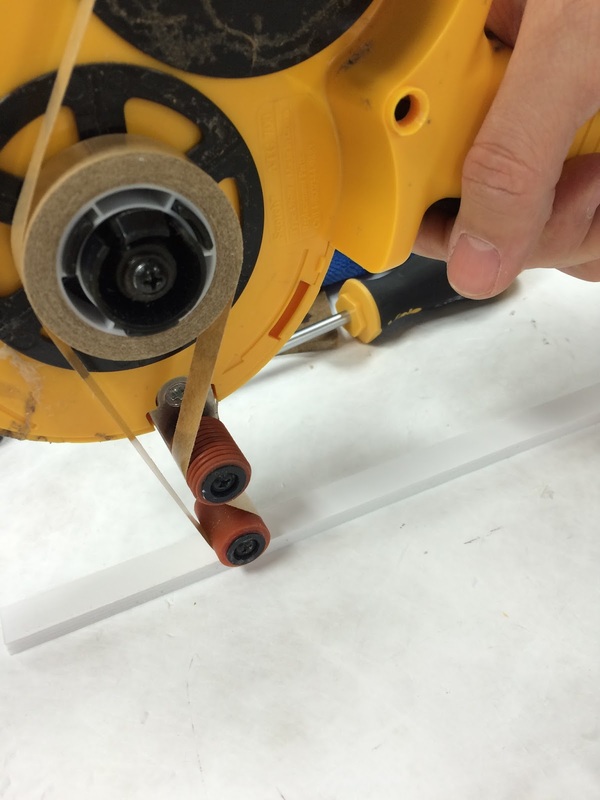 Place the cut piece of mat board on top of the spacers. This is how it will appear from the side. 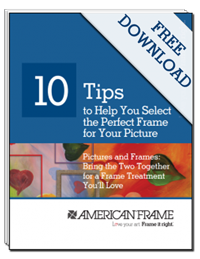 Finish the framing treatment by following steps 5-9 from Version One, above. 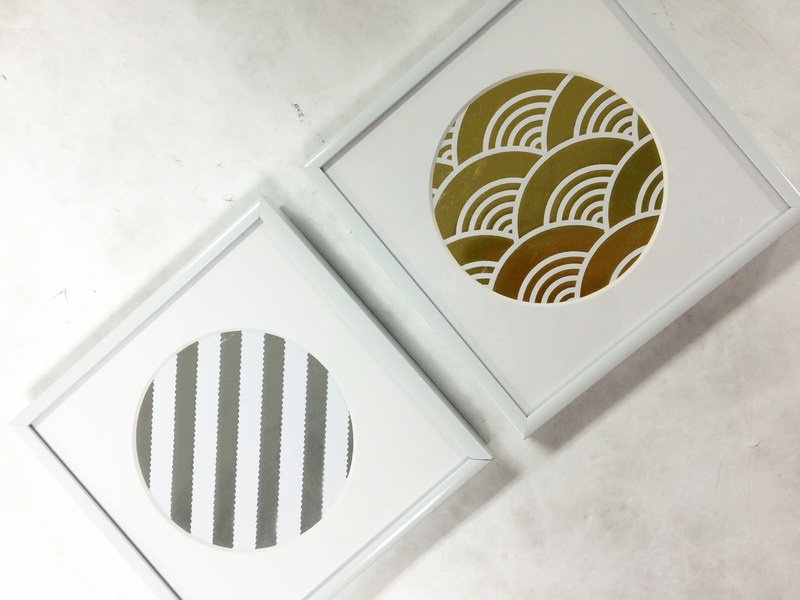 These finished pieces are budget-friendly, high-style examples of what can be created with DIY picture frames. Create multiples to hang as a group in a gallery wall or just hang one or two and switch them out with the season, mood, décor, or feeling of the room. The choice is yours! We love hearing from you. Share your finished projects with us on social media and use #framinghappiness to connect with us! Would be a fun idea for the wrapping paper from a bridal or baby shower. In any case, https://essaydragon.com/blog/spend-the-entire-summer-holidays-on-campus will be useful to read for you if you are going to decide whether you want to spend time on campus. It's useful for all students. This is fantastic. You would never know that this was wrapping paper!